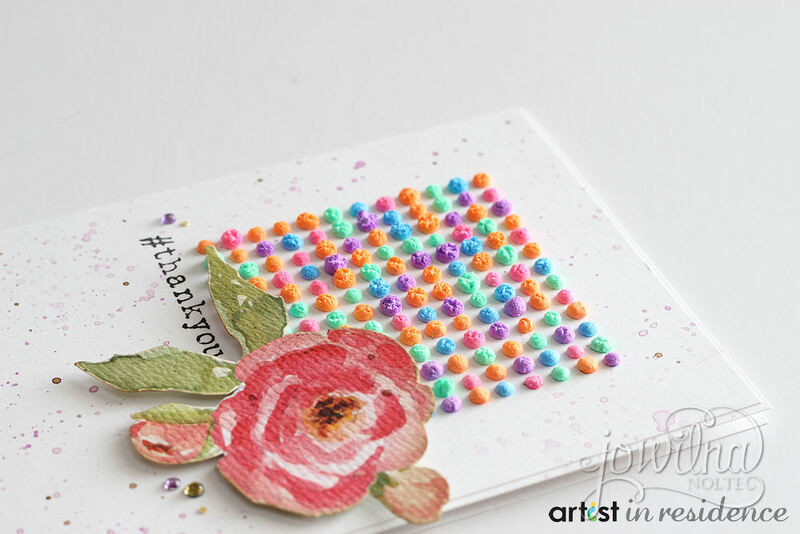 make / gone dotty with amplify! 1. 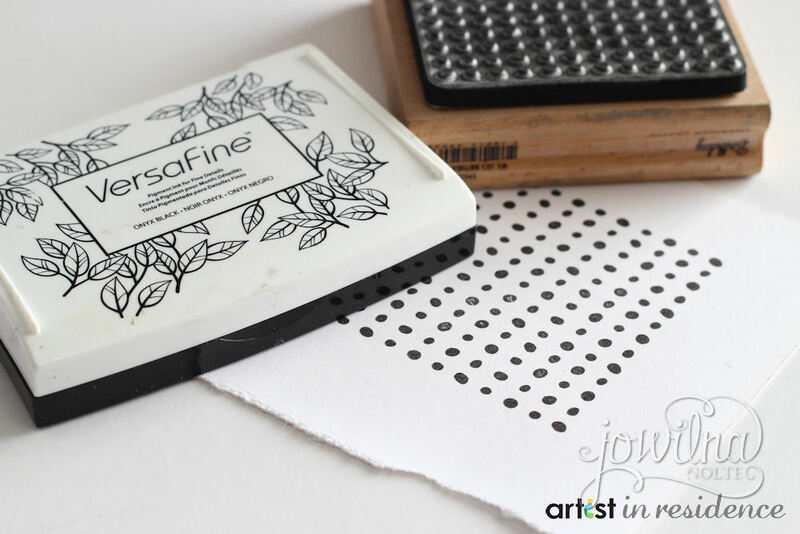 Use a dot stamp and stamp the image using Versafine Onyx Black on smooth white cardstock. 2. 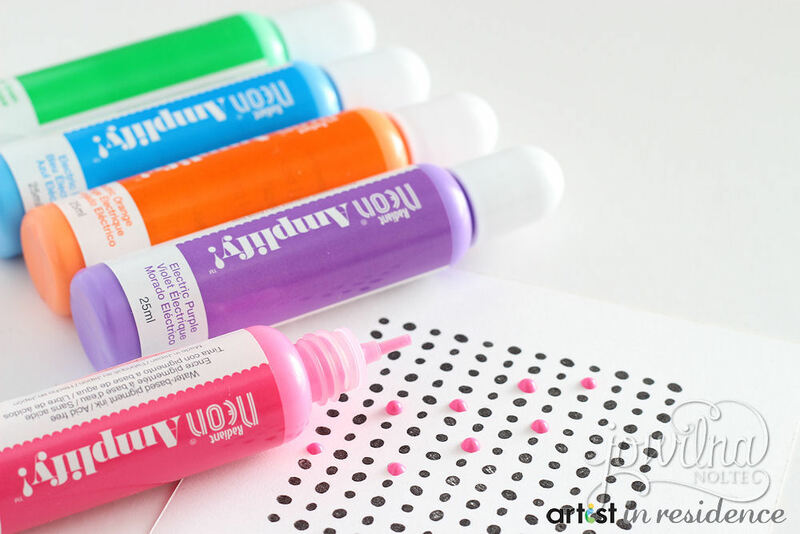 Color all the dots using 5 different colors of Neon Amplify. 3. 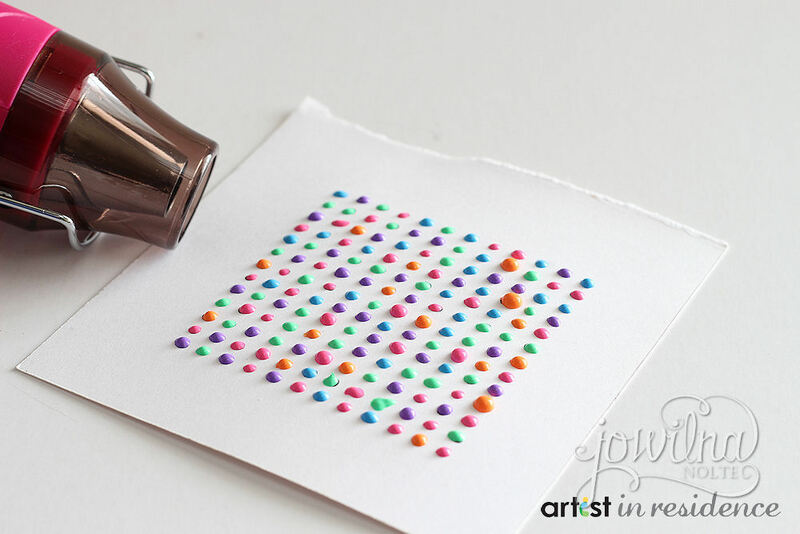 Leave the Amplify to dry and then heat using your heat gun. Heat until it puffs up creating amazing texture. 4. Cut your panel to measure 4×6″. 5. Fold your card base to measure 4 1/4 x 6 1/4″. 6. Adhere the panel to the front of the folded card and embellish. I love the texture and effect this creates. So beautiful, quick and easy!